Sri Aurobindo and the Mother have talked about the "archetype" as the idea of terrestrial evolution (which is also the origin of the four varnas). 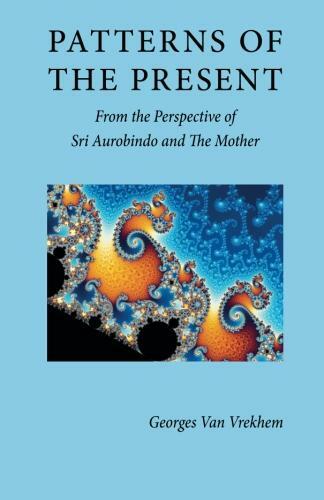 The Mother has seen it and talked about it to Sri Aurobindo, who confirmed her vision. If this is true, it is the explanation of the human form, therefore of the forms gradually created by the evolution and leading up to the human, and the fundamental shape of the supramental being. Mystics in the past have seen the same, and some of them, in the Gnostic tradition, have called the archetype Adam Kadmon. 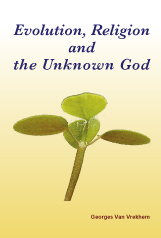 Sri Aurobindo's Yoga, as he wrote himself, was an adventure into the unknown. The story of his explorations, discoveries and realizations is spellbinding, from heights to greater heights and from depths to deeper depths. For it was also the story of a continuous and decisive confrontation with the hostile forces. His and the Mother's joint effort unfolded against the background of world history. The great Change is taking place now. If a new species has to come about, it has to happen through a series of miracles. The first ones must be the psychic and spiritual realizations – followed by ... the unexpected. It might be more practical to see our task of transitory beings as a preparation for the unexpected than as an expectation of an overmental or supramental realization. But, despite our ignorance, our dedicated effort is essential (as is Auroville) in the present turnabout. Our yoga is not for ourselves, but for humanity. In the Gita, Sri Krishna shows himself to Arjun “brighter than a thousand suns”, but then also as Time the Devourer. The Integral Yoga is a constant battle the hostile forces, as we see in the examples of Sri Aurobindo and the Mother themselves. And “none will reach heaven who has not gone through hell”, as we read in Savitri. 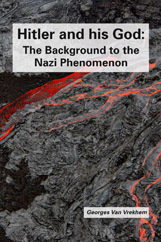 5) 2012 and 1956: Doomsday? 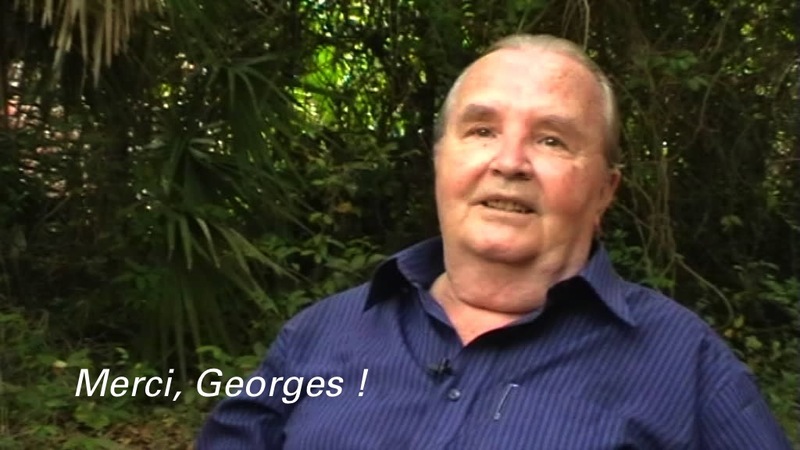 Georges’s topic was “2012 and 1956”. He said he was intrigued by all the hype around 2012, when the fourth cycle of the Mayan calendar comes to an end. Georges analyzed if the world would come to an end in 2012 or if on December 21, 2012, all at once, a major change would take place when everyone would be spiritually transformed. He also made a connection with February 29, 1956, when the manifestation of the “Supermind” took place. The human being has always been considered as the crown of the evolution on Earth, even as being “in the image as God”. Materialistic science has, in the last three or four centuries, gradually eroded such conceptions and reduced the human from the centre of creation to an animal among animals. The view, idea or image of humanity has of itself determines the choice of its ideals and actions. The Mother has said explicitly that one of the reasons for her incarnation was to provide a safe passage to the deceased on their way to the psychic world through the vital and mental domains. She built these passages when she was still quite young. Since then more cases have been reported of “near-death experiences”, where people who return from such an experience describe it in ecstatic terms. In this lecture Georges Van Vrekhem describes such experiences and relates them to the passing and realisation of Sri Aurobindo and the Mother. Georges recounts that soon after the Second World War, the world situation, in Sri Aurobindo’s words, was “worse than worst”. In fact, Sri Aurobindo’s and the Mother’s work was in jeopardy – and it was not his intention “to give his sanction to another fiasco”. This is one of the most dramatic episodes in spiritual history and the history of humankind, documented hour-by-hour and commented upon by the Mother herself. 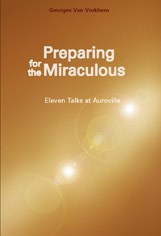 Georges explains Sri Aurobindo’s voluntary descent into death, and only six years later, the manifestation of the Supermind with its enormous future consequences. Sri Aurobindo’s works are seldom approached for their scientific contents, yet he has followed the evolution of scientific thought up close. He wrote at the time of Einstein and the quantum mechanic revolution. In Savitri, his ‘testament’, Sri Aurobindo takes a clear stand for the Big Bang theory, even before the general consensus it has today. Theodicy is the justification of the works of the Divine in his manifestation. The existence of ignorance, suffering and death is the main argument against a good or just God, or a God of Love, which every religion tries to answer. Nature is the work of the Great Mother, who is the Divine. How does Sri Aurobindo justify Her creation? If the Mother and Sri Aurobindo were avatars, what avatars were they? Where can we place them if the avatar is the Divine incarnated as human being? Sri Aurobindo wrote about two sides of avatar-hood – Divine Consciousness which is omnipotent, and Instrumental Personality. To him Divine Consciousness has put forward Instrumental Personality, and it uses it according to the rules of the “game”. He also clearly expressed that the Divine when he takes on the burden of terrestiality, takes it fully, seriously without any tricks or pretence. And any one who wants to change Earth nature, must first accept it, in order to change. Georges found the question whether the Mother and Sri Aurobindo were avatars to be one of the most tabu questions. ‘Evolution’ is generally thought to be well-known. Looking deeper into the subject however, it proves to be an extremely complex subject, and so is the term 'Darwinism', commonly used by the media. As evolution is about life and life is about humans, evolution also had from the outset of its various theories a close connection with religion and life. Most importantly, the spiritual interpretation of evolution is the backbone of Sri Aurobindo's worldview, directly impacting on our understanding of the Yoga and the aim of life. The 4 varnas, quite other than the castes, have determined the structure of society not only in India but also in the West. Their integration into a human unity is essential for the coming about of the new world. The new inner or spiritual unity will gradually create a new, egoless dharma – “Nous voulons une race sans égo” – replacing the ego-dharma of the evolution until now. During the formation of Christianity, a series of hard fought councils and creeds formulated what was the authorized thinking in the Christian West. This ‘catholic’ faith dominated the minds for centuries, till its irrationality was eroded, attacked and finally overcome by a rational movement culminating in the Enlightenment. Sri Aurobindo calls its main ideas – liberty, equality and fraternity – ‘godheads of the soul’, and has fought to keep them alive in the build-up of the new world. More and more archeological discoveries show that the civilization of Homo sapiens sapiens goes much further back than Sumer. Sri Aurobindo and the Mother affirmed the one-time existence of civilizations like Atlantis and Lemuria which vanished from the surface of the globe. This means that the ‘primitive’ peoples were not so originally, but descended from probably highly evolved civilizations of whom they lost the knowledge and the means. Science is generally presented as a search for the truth of Nature, thereby supposing that there must exist such an absolute, unchangeable truth. This view is now severely questioned. Besides, science is a product of the human mind, which is incapable of grasping absolute truth. Therefore science and technology must gradually be replaced by what Sri Aurobindo called a ‘future science’, including not only matter but all levels of Reality. 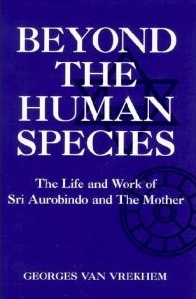 The aim of the Sri Aurobindo-Mother avatar was to establish the foundations of a new species beyond the human: superman. 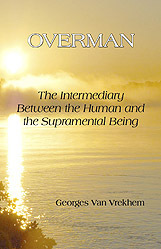 In The Supramental Manifestation (1949) Sri Aurobindo wrote that, for the superman to be incarnated on the Earth, an intermediary range of transitory beings would be necessary. The Mother called these beings surhommes, overmen. Moreover, she said explicitly that to realize the transitory beings in their presumably huge variety was our task. Georges Van Vrekhem, as a physicist, curiously observes that 'matter is weird stuff'. With interesting examples and clarity, he compares the general religious view of matter or the human body (i.e. burdensome) with that of Sri Aurobindo's (i.e. miracle of matter). He also explains the 8 ways of interpreting matter and goes on to ponder on texts by Sri Aurobindo and the Mother and explains the relationship between matter, mind and spirit. His conclusion: In matter lies the truth, the reality. Human existence is then a matter of matter! True philosophy in the East, but originally also in the West, was indeed a search for mental truth but at the same time for ways to apply such truth to life. Essentially the true philosopher is a yogi and the yogi a philosopher. Shedding our evolutionary impediments and seeing the world from inside out: Normally we humans are not aware that our perceptions of Reality are not direct, and therefore not really real, because we are enclosed within the deforming walls of the evolutionary species to which we belong. This existential way of being became critically important in the experiments of quantum physics, where Reality remains indefinable and only the interaction of the scientific instruments with Reality can be interpreted. 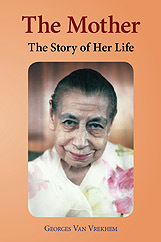 The Book of the Traveller of the Worlds, in which the levels of the World Stair are described, contains one of the great revelations of Savitri. It is of prime importance to realize that the Traveller, named Aswapati, is Sri Aurobindo himself writing from his experience. Savitri is given to us to participate and grow in its reality. If thought of as the poetic experiences of a mythical or legendary figure, the experience of sharing in Sri Aurobindo?s mantric evocations might become removed from us.